Private sector funding for gender equality initiatives is a growing phenomenon worldwide. To date, however, this issue has received relatively little attention in feminist literature. Our aim here is to map the contours of such funding and draw out the implications thereof for discussions of feminist knowledge transfer. 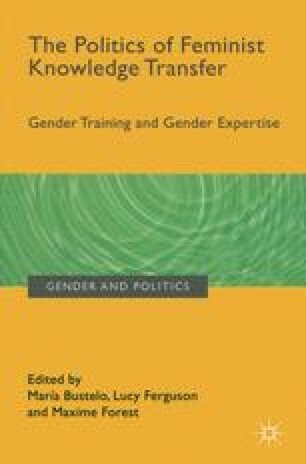 While existing literature on the subject, as outlined below, offers a feminist critique of private sector involvement in gender equality, we suggest that our approach is original as it engages explicitly from the perspectives of those conducting feminist knowledge transfer. Drawing on the experiences of the authors and accounts from interviews, we set out the opportunities and challenges created by the increasing privatization of gender equality funding. By the “private sector”, we mean medium to large enterprises operating at national and multinational levels.